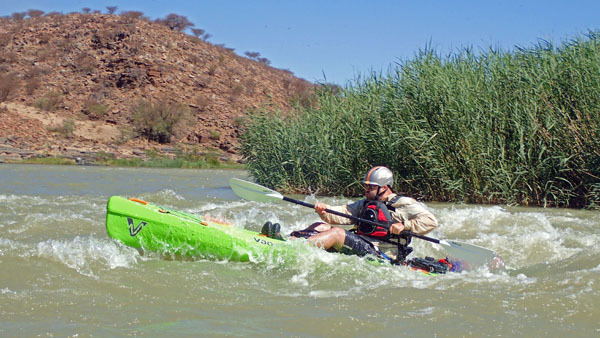 This Kasai is fully-loaded for a three-day trip on the Orange River. 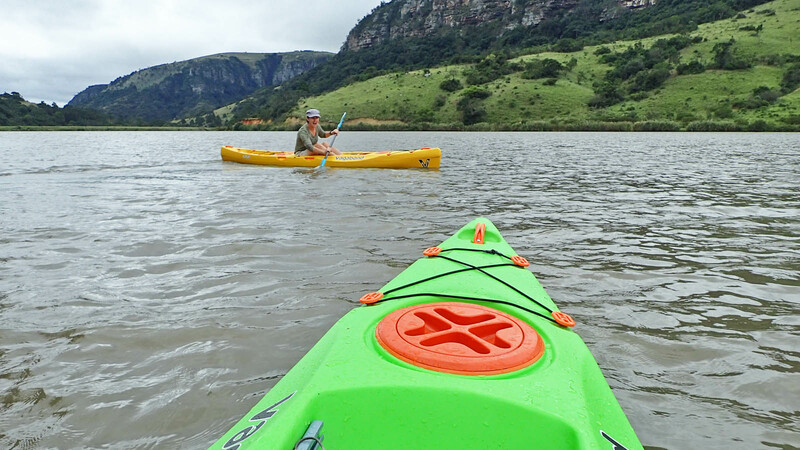 The Kasai is a great kayak for multi-day trips because of its excellent weight carrying and storage capacity. 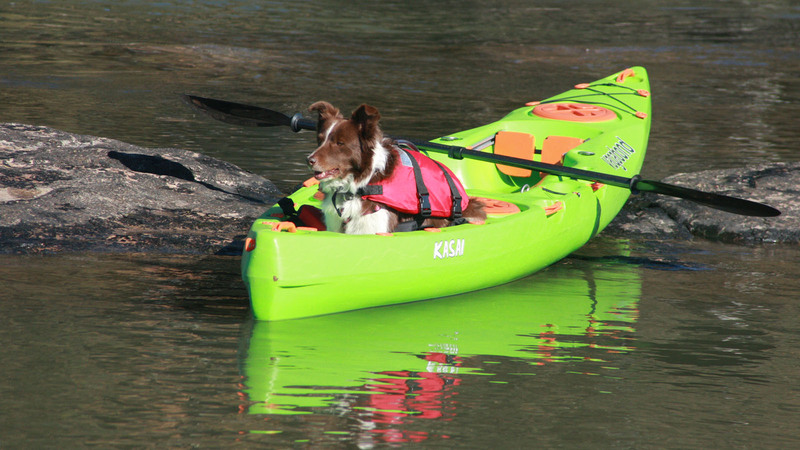 If your dog prefers to sit upright while you paddle, line the large tankwell of the Kasai with a foam mat to prevent their paws from sliding. 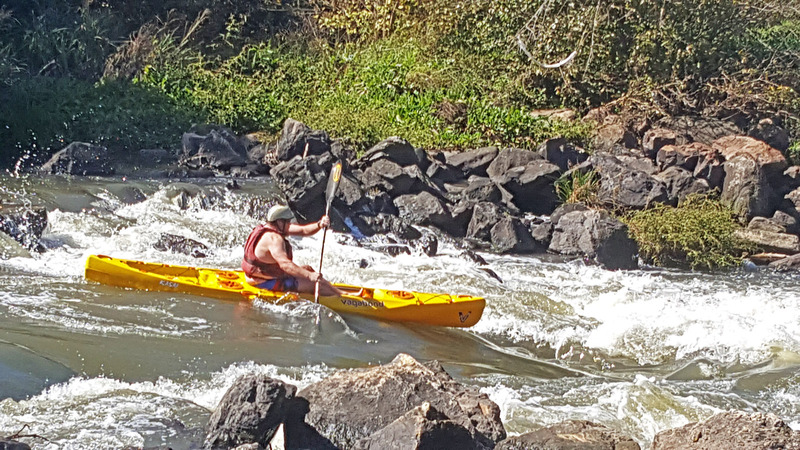 Although the Kasai is not a whitewater kayak, it still performs on Grade 2 rapids, making it perfect for low-grade river trips. 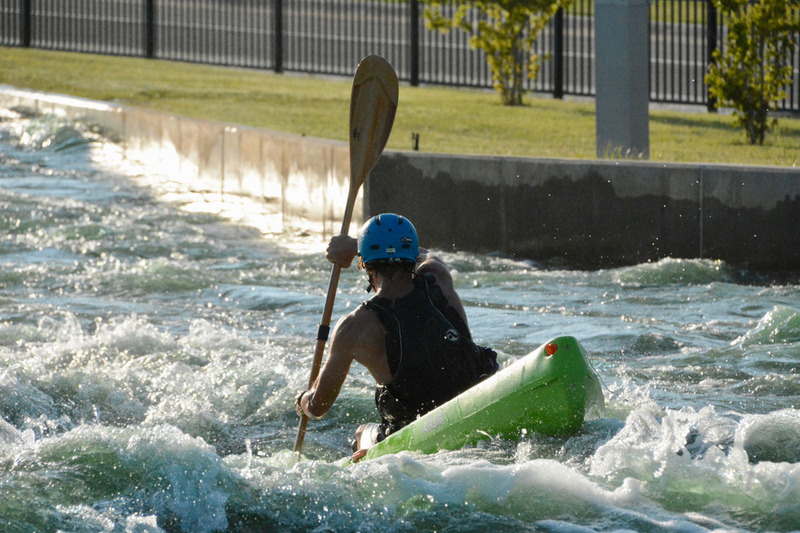 Riversport Adventures OKC whitewater course in Oklahoma City. 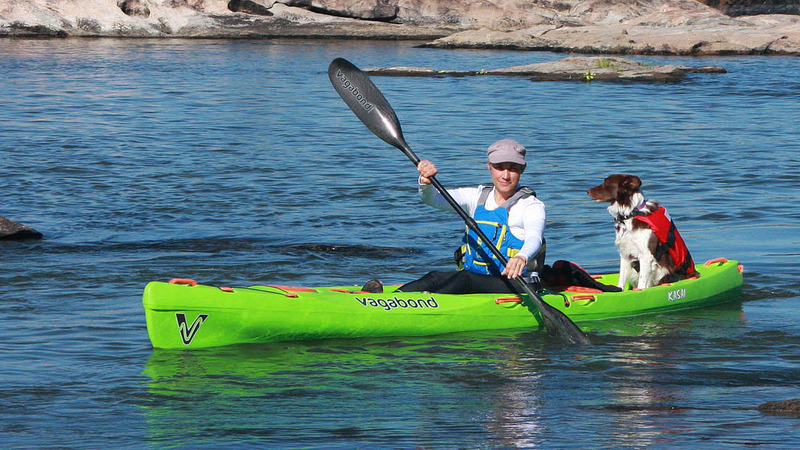 Some dogs take to being on a kayak instantly. 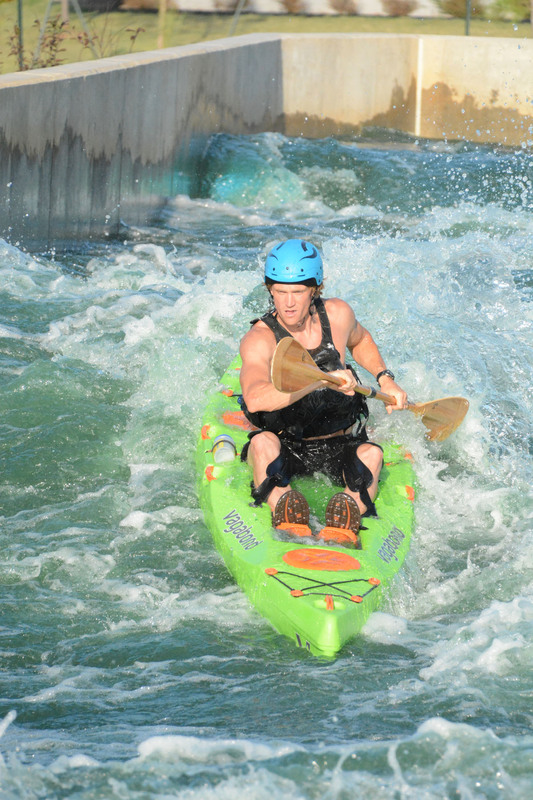 Others need a bit of coaxing. 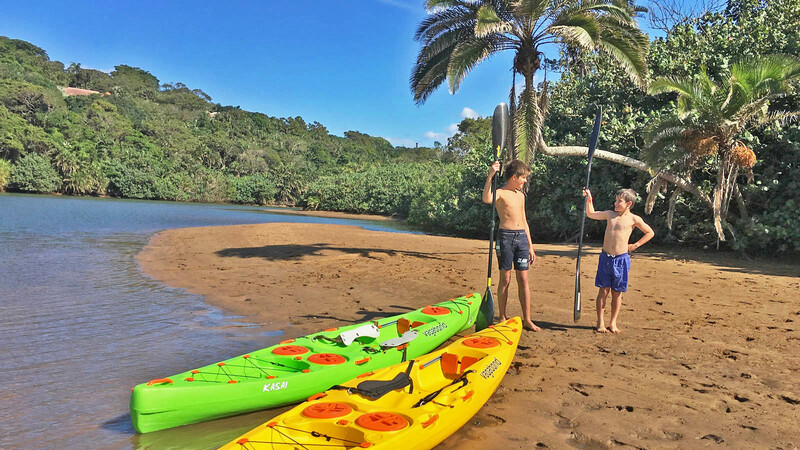 Take it slow, don't splash them or make sudden movements and after a few sessions they'll be more trusting of this new activity. 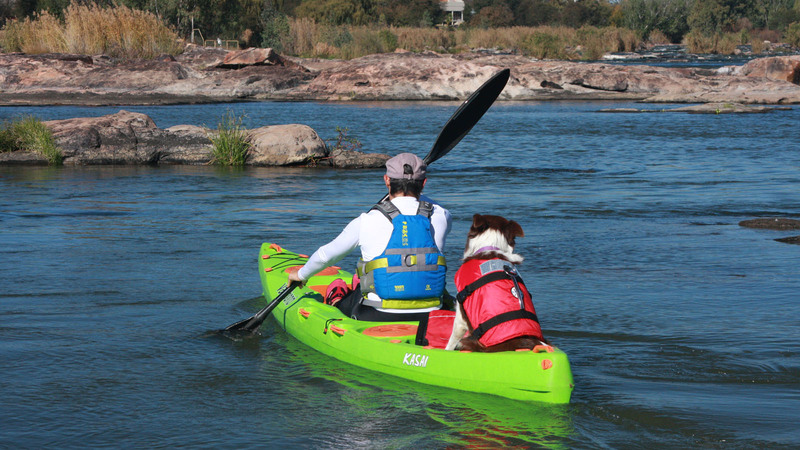 There is more than enough space in the large tankwell of the Kasai for your dog to join you on the water. Sunny days and tall stories. 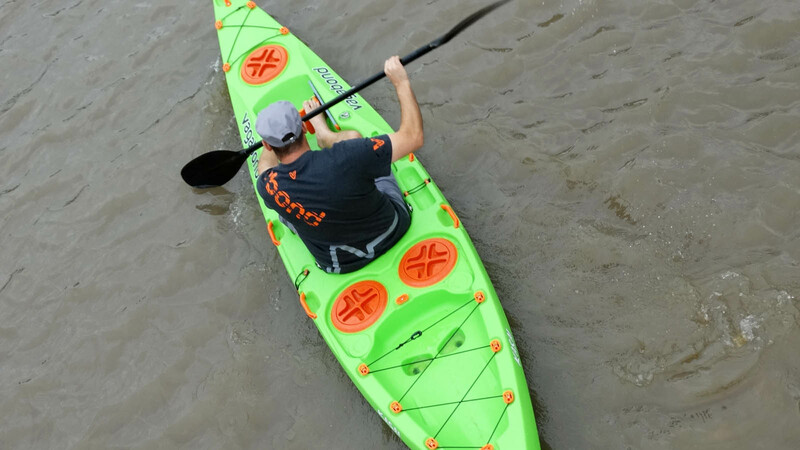 Handles on the front, sides and back of the Kasai make it easy to drag or carry this kayak. 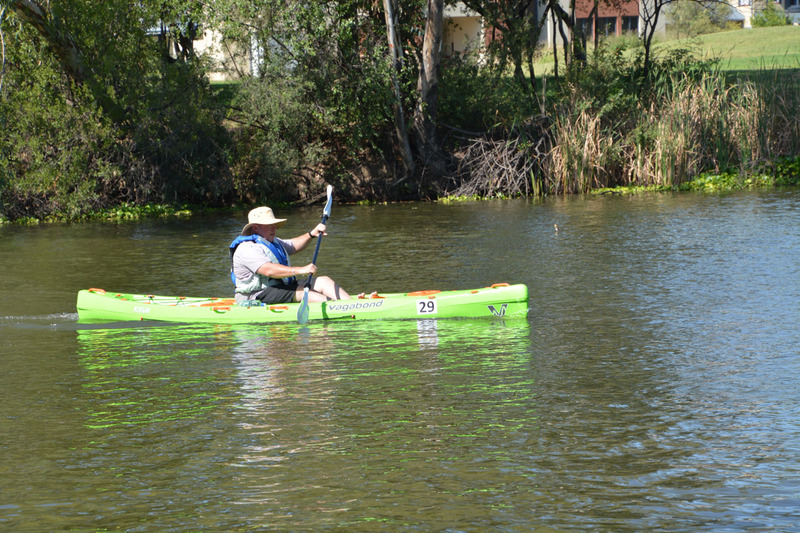 The handles on the side are positioned so that an adult can move or carry this kayak on their own using a double-handed grip. 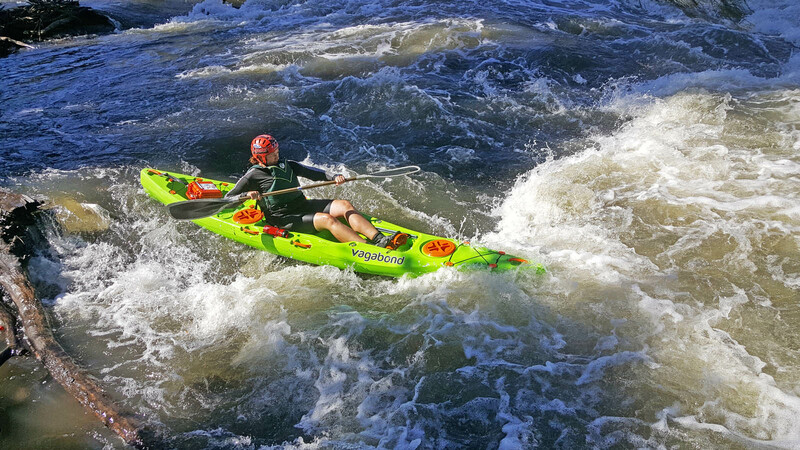 The Kasai cruising the small rapids of the Klip River. 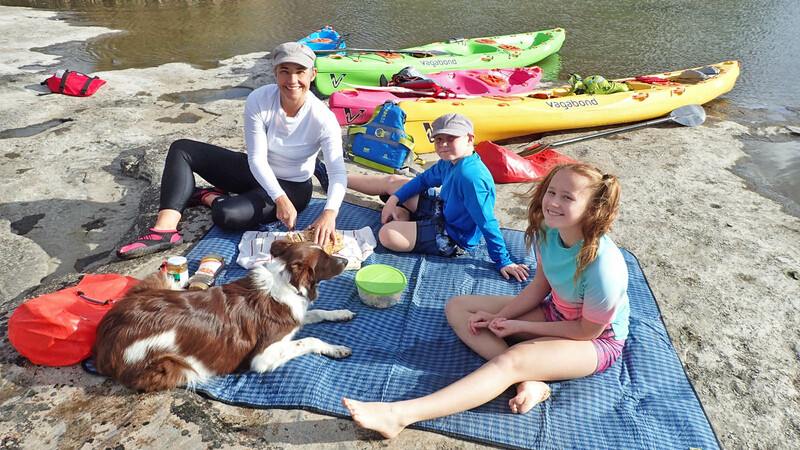 Picnics are the most fun when you've reached an isolated spot under your own steam. 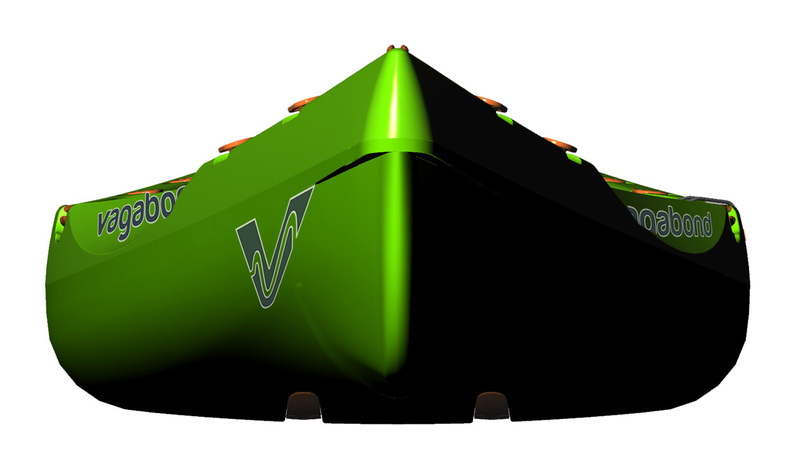 The Kasai has three hatches in total. 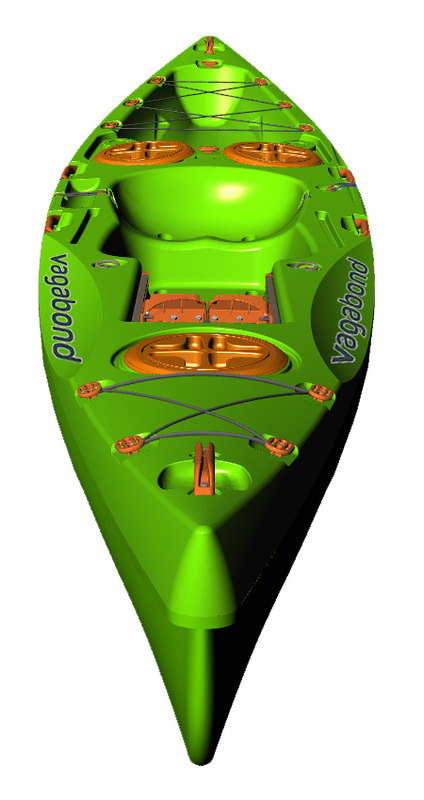 At the back there is an 8" Screw Hatch that accsses space inside the hull for storage and an 8" Day Hatch, which is a watertight moulded-in bucket to hold smaller items like keys, a mobile phone and snacks. 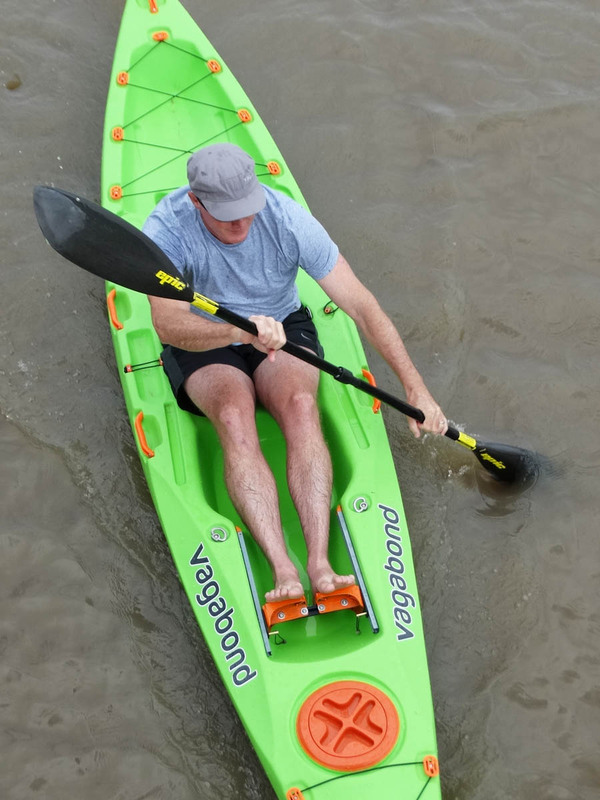 Bungee straps on the front of the Kasai allow you to quickly strap a drybag to the bow for easy access. 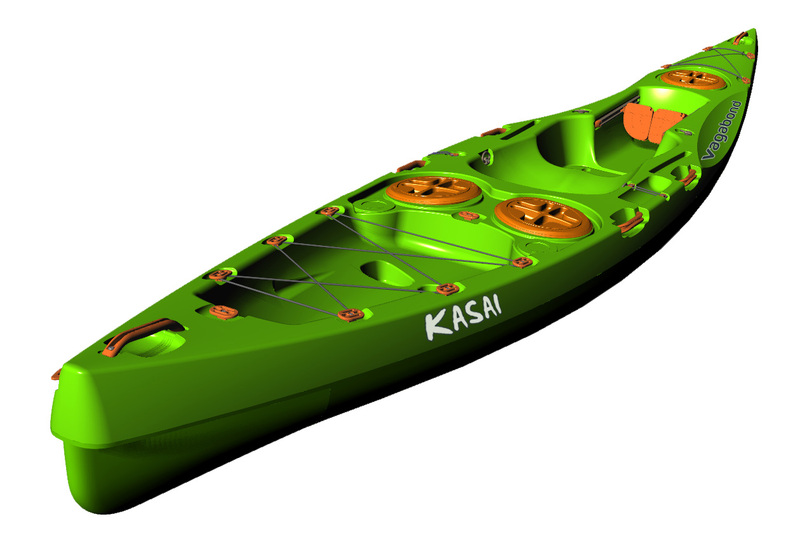 Paddle Cutaways, adjustable Footrests, a 8" Screw Hatch in the bow and a sizeable tankwell are some of the Kasai's winning features. 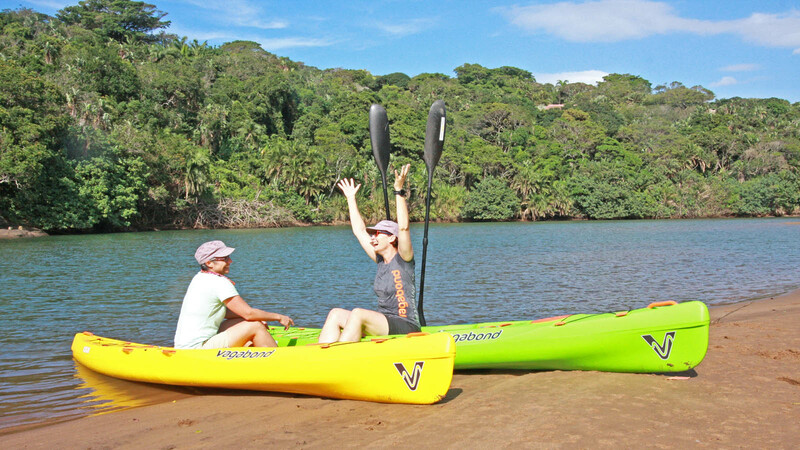 Kasai kayaks, water, beach and friends - bliss! 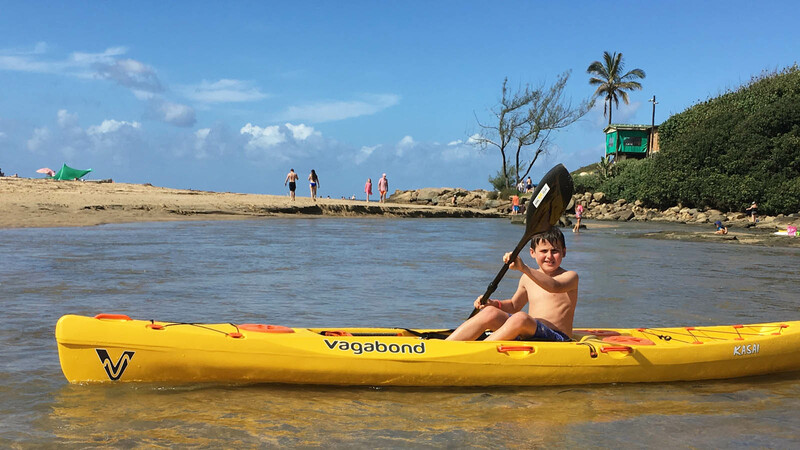 Athough the Kasai is a children-friendly kayak that they will enjoy paddling, our Kwando is more suitable for younger children as it is sized appropriately for them to be able to manoeuvre it effectively. 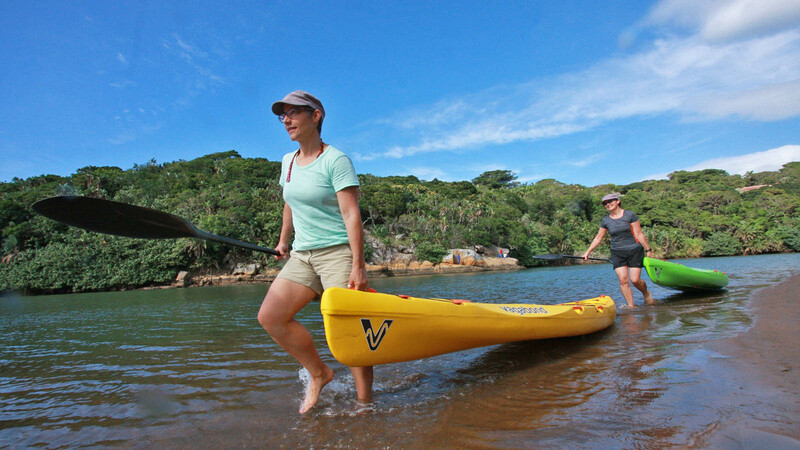 The Kasai hull offers minimal drag, proper glide, good tracking but at the same time also easy turning. 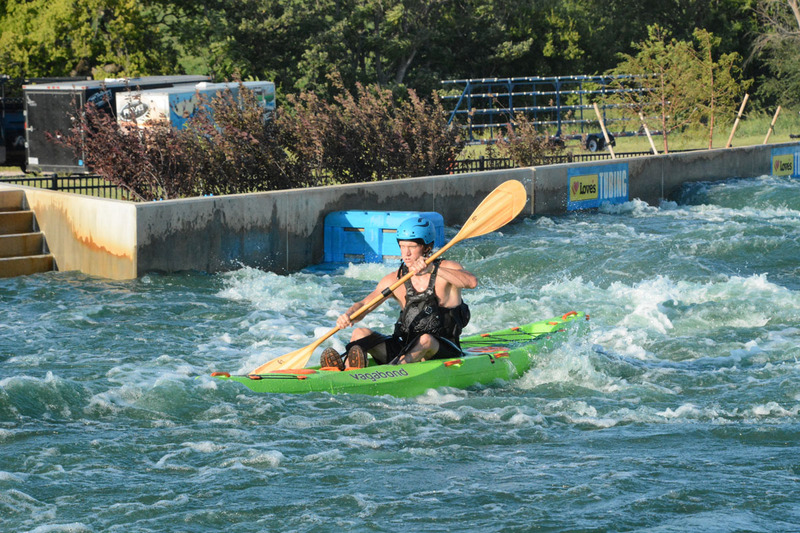 The stern of the Kasai. 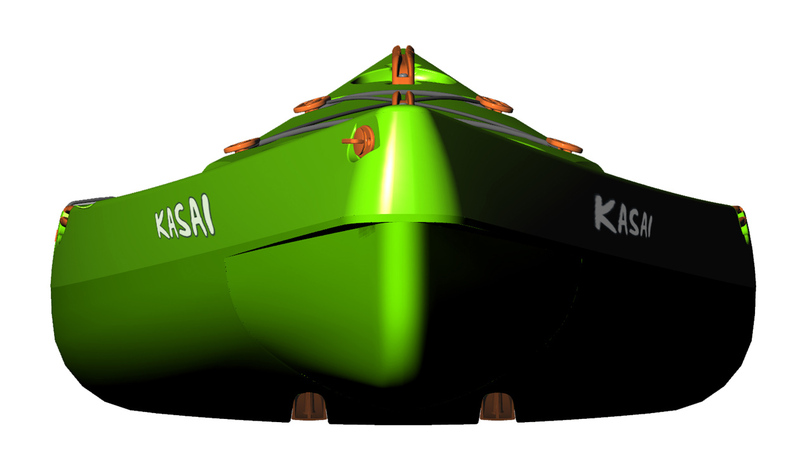 The Kasai hull is designed to be very stable but also very efficient in its forward motion. 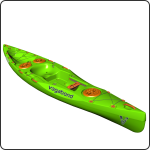 The superb design of the Kasai makes this an outstanding kayak for flatwater paddling, touring and ocean paddling. This large rear tankwell has huge packing space and is a great spot for a medium to large-sized dog (or more than one smaller dogs). 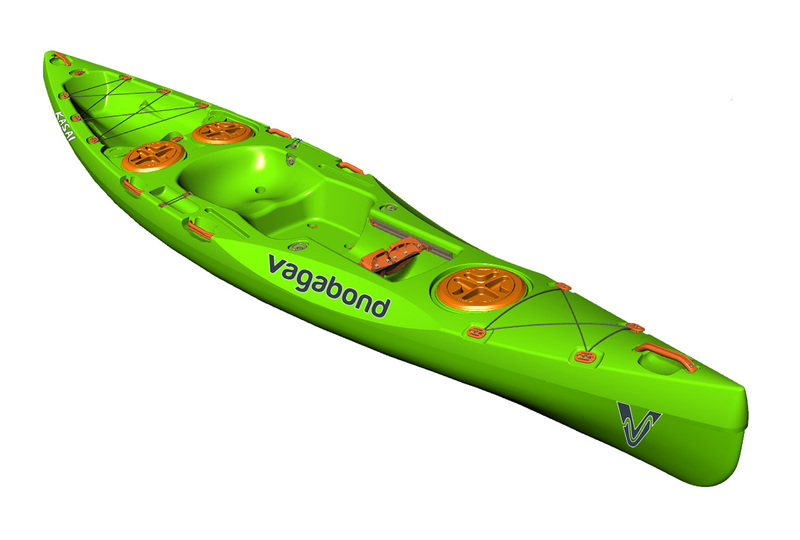 Two storage hatches, a day hatch, a large rear tankwell and bungee cord straps on the bow offer a variety of gear packing options. 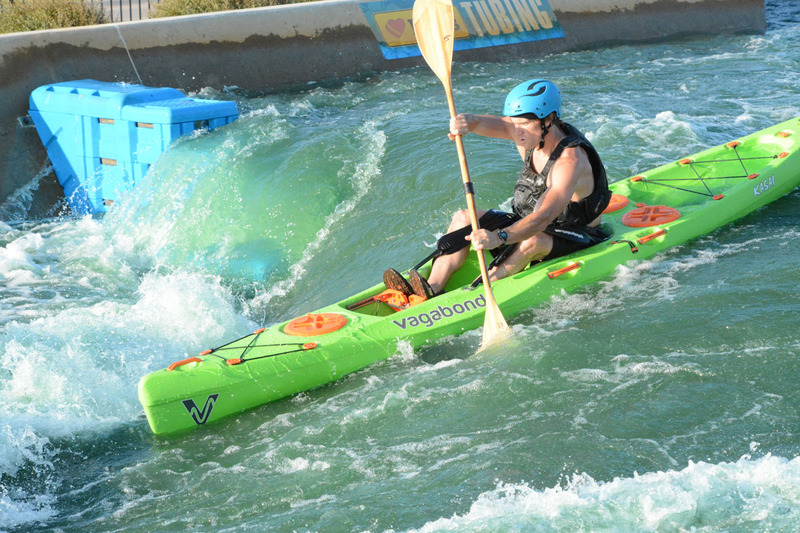 View of the bow of the Kasai. Kasai: view of the side profile. 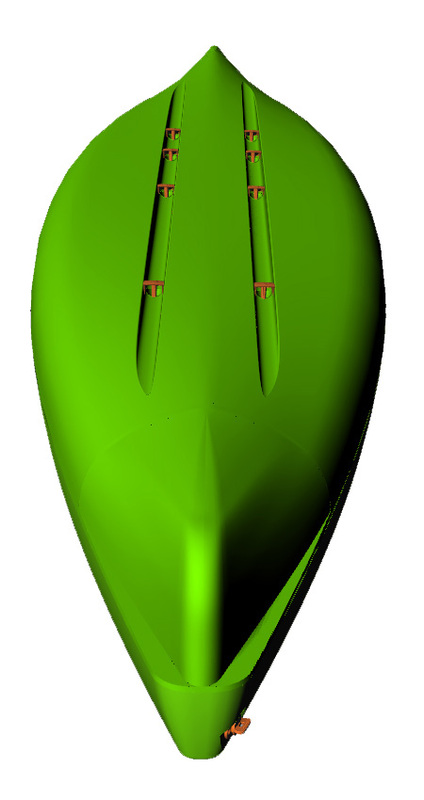 Kasai: view of the hull from above. Kasai: view of the deck from the side of the bow. Kasai: view of the deck from above.